The famed Cisco Cius tablet will be the tablet IT managers and corporate staff all drool over. The tablet is due out this August and will be utilizing the Verizon 4G LTE network for tremendous speeds. The Blackberry Playbook alienated many of its enterprise customers because of its rush to the marketplace, so hopefully the slower paced Cisco offering be worth the wait? So what exactly is the Cisco Cius Tablet? First of all it is a 7 inch tablet and boasts an Intel Atom 1.6 Ghz CPU along with 32 GB of Flash storage. There is also a SD card slot as well as a HDMI out port and a mini USB port. 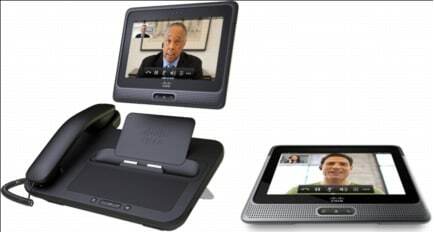 The tablet’s front facing camera allows for video conferencing in 720p HD quality. The default operating system is Android 2.2 Froyo, though the price that was last associated with the tablet was a rather high $1000. Something that is attributed to the tight integration that the Cius tablet will have with Cisco’s enterprise software. The ancient Greeks relied on them. So did Moses when it came to accomplishing one of his most significant deliverables. And now businesses are equipping mobile workforces with tablets of their own to boost productivity and speed customer service. To meet this newest trend in tablet use, Verizon is combining the power of its 4G LTE network with the Cisco Cius™ to help customers decentralize and accelerate decision-making for better business outcomes. The Cisco Cius will be available to Verizon enterprise and government customers around the world later this summer, and those located domestically will be able to combine the device with a Verizon Wireless 4G LTE mobile hot spot. Designed for the enterprise, the Android-based Cisco Cius combines voice, video, collaboration and virtualization capabilities on one device. When powered by Verizon’s 4G LTE network, mobile workers will be able to easily use bandwidth-intensive video applications—including between devices—for more effective collaboration. In general, industries such as retail, financial services, healthcare and government can employ tablets to change the pace of their business. Retail: Sales associates can employ tablets while out on the floor to look up product and inventory information for customers, in addition to processing transactions on the spot. Financial Services: Bankers and financial advisors can take advantage of the video capabilities of tablets for face-to-face meetings with clients, saving the time it takes to meet up at physical locations. Health care: Medical professionals can use tablets to collaborate on patient care and speed critical decision-making. Government: Tablets can increase productivity of government users—from military to civilian government field workers to emergency first responders—allowing them to enter information or share it quickly with remote offices to complete the business of government more efficiently. Through Verizon’s Managed Mobility portfolio, enterprise customers can securely deploy a wide range of devices to employees. Capabilities include device management; expense tracking management; lock and wipe features for protecting sensitive data; and mobile delivery of popular business and consumer apps from the cloud. In addition, the company offers a full suite of professional services to help organizations create policies and design mobility programs to suit varied requirements. the Cius is specifically designed as a tablet for business and as an extension of the enterprise network. From enterprise management to security, no matter what 3rd party apps and add-ons are offered up as afterthoughts to attempt to line up the iPad (Playbook, TouchPad, etc) with enterprise, the Cius is the clear answer for business and serves a completely different purpose than the iPad or anything else out there.